This kind driver was doing us all a service by plastering his car with thoughtful warnings and advice. Things like "When you get under a steering wheel, be ready to meet God," and, "Death can happen to the best of people. 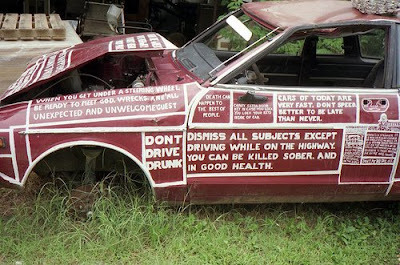 To read more of the driver's cryptic messages, enlarge it.